Through Whatsapp I send a picture of my latest purchase to my close friends. "Wow! A dress!" they reply. I would agree, a dress isn't something people are used to seeing on me. But what could it hurt? An innocent summer experiment? WIN a handmade & unique item from Mocca! Enter the giveaway on my blog! 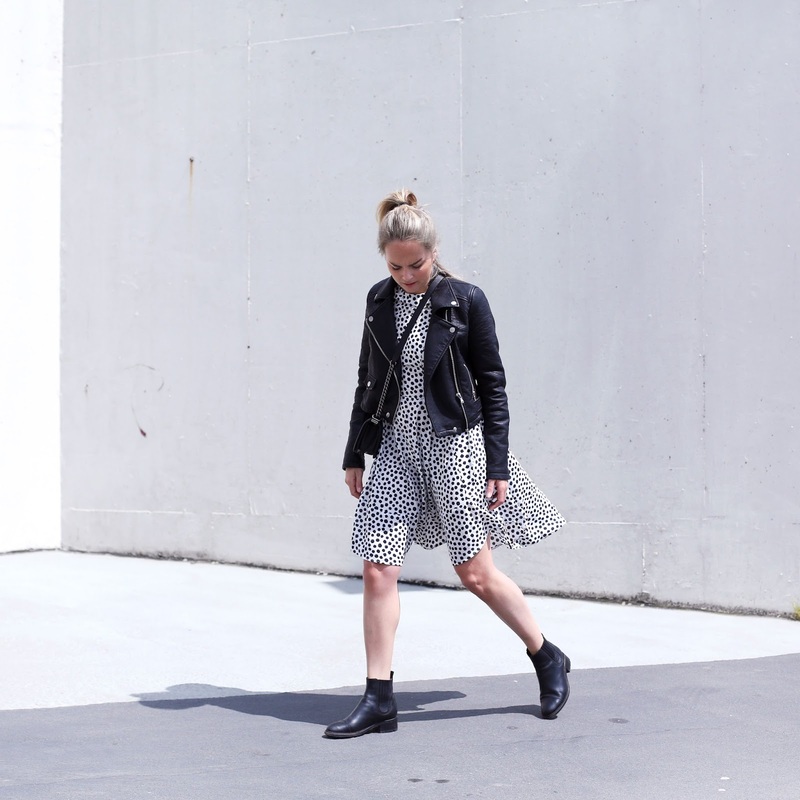 The dress and boots are the perfect combination! 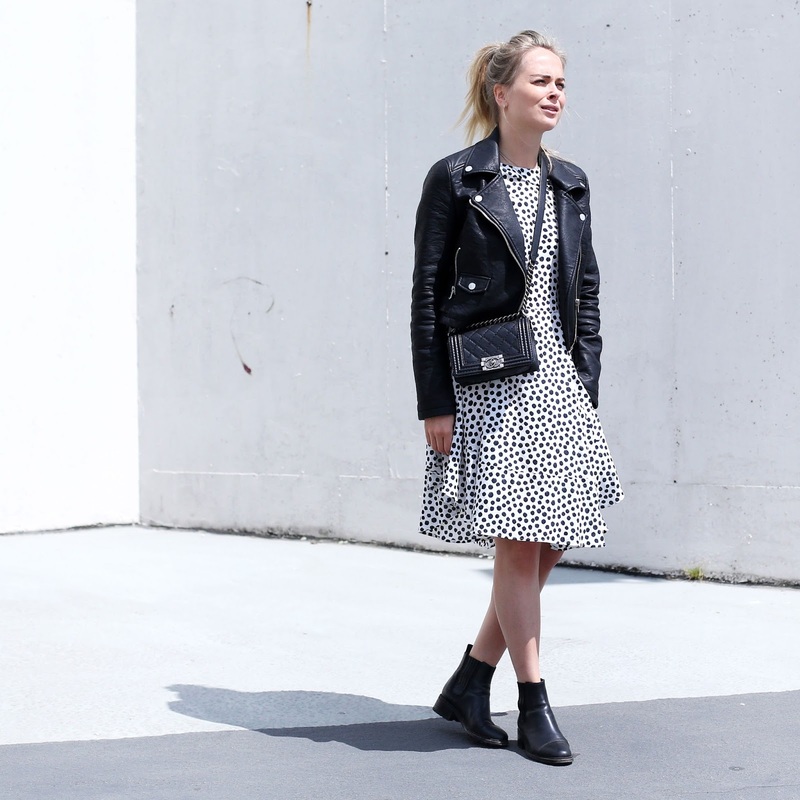 this dress is absolutely made for you (and your cool biker). 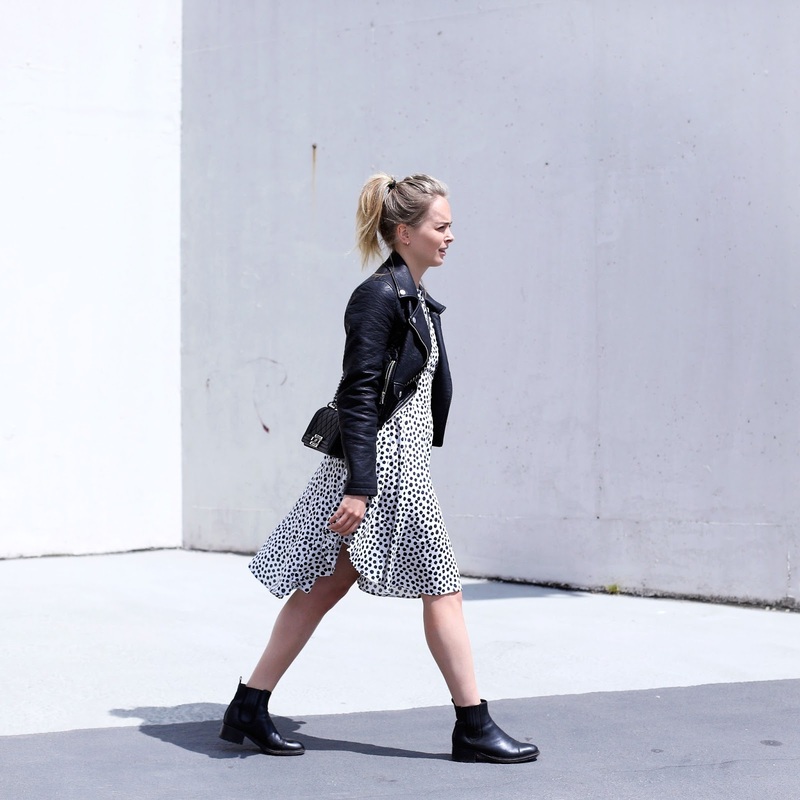 Love the mixte between the leather jacket and the dress, that's so good together! Congratulations on going up from #749 to #542 in the international´s blogger rank It´s awesome! Ik vind hem je super staan! Ik heb hem zelf ook aangehad en was verbaasd over hoe leuk ik hem vond haha. Misschien haal ik hem alsnog..